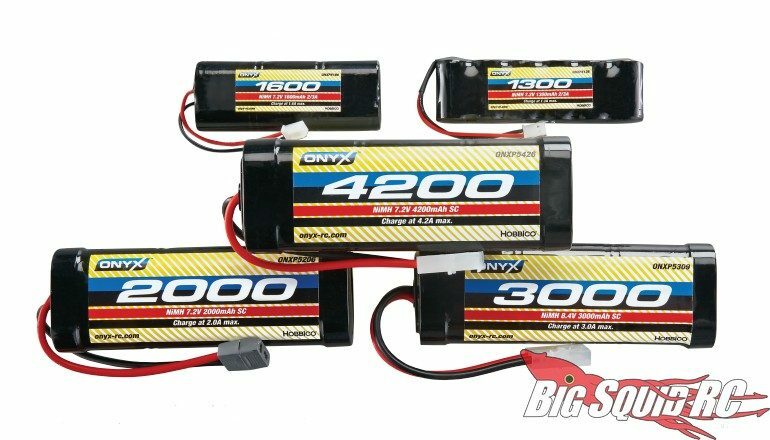 New NiMH Batteries From Onyx « Big Squid RC – RC Car and Truck News, Reviews, Videos, and More! Just announced by Onyx is a new line-up of NiMH batteries. The new Onyx batteries come in a wide variety of sizes, cell counts, and capacities to fit nearly any application. Manufactured to the highest standards, the Onyx batteries also come with a 2 year warranty to give you peace of mind. Pricing varies on the different models, but you can Hit This Link to check out all the new batteries over on the Onyx website. Click Here to read more Hobbico news on BigSquidRC.